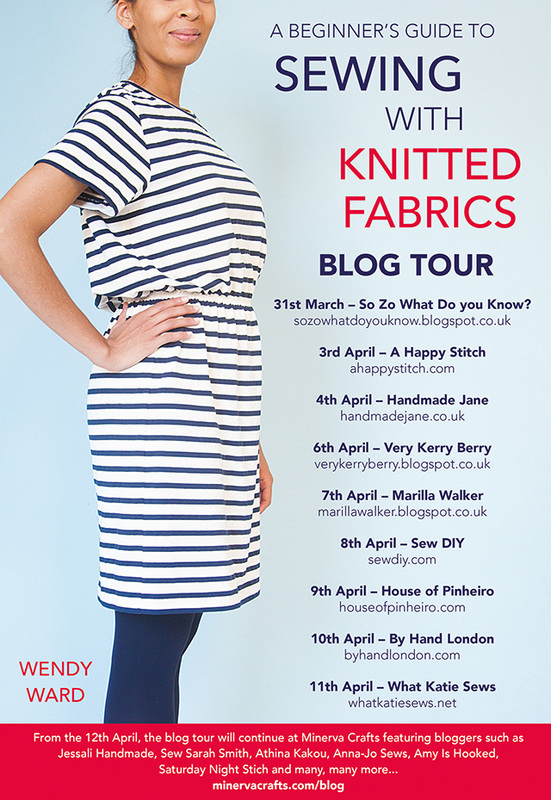 Today I’m the final stop on the blog tour of sewing designer and teacher Wendy Ward‘s latest book, ‘A Beginner’s Guide to Sewing with Knitted Fabrics’. 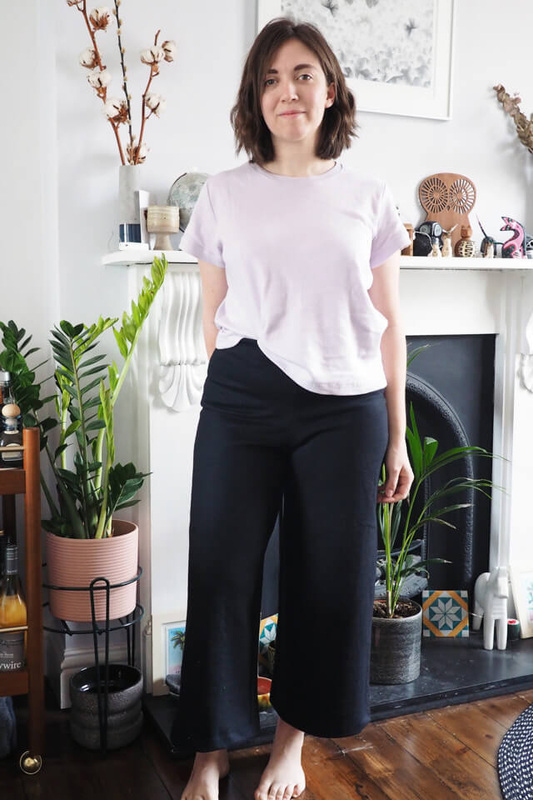 Because I’m an overachiever I’ve made a whole, albeit very simple, outfit from the book, comprising the Derwent trouser and Peak t-shirt patterns. 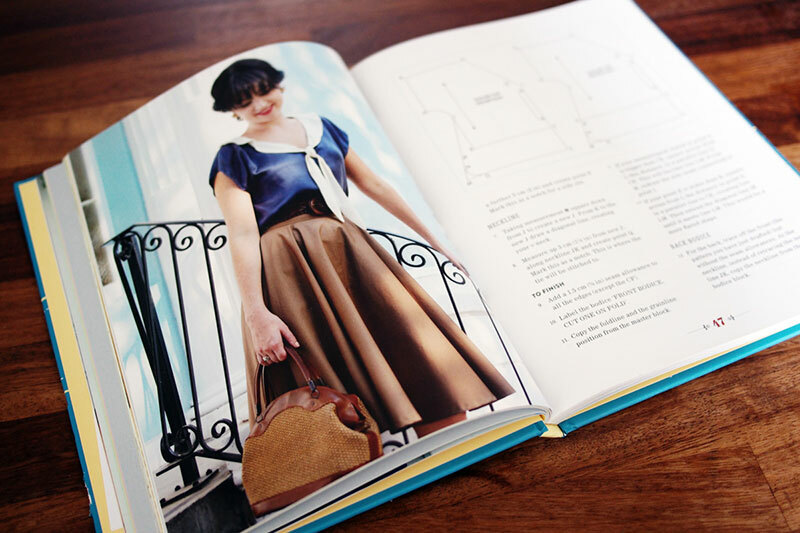 Wendy’s book is a pretty comprehensive primer on all you need to know to sew with knits. 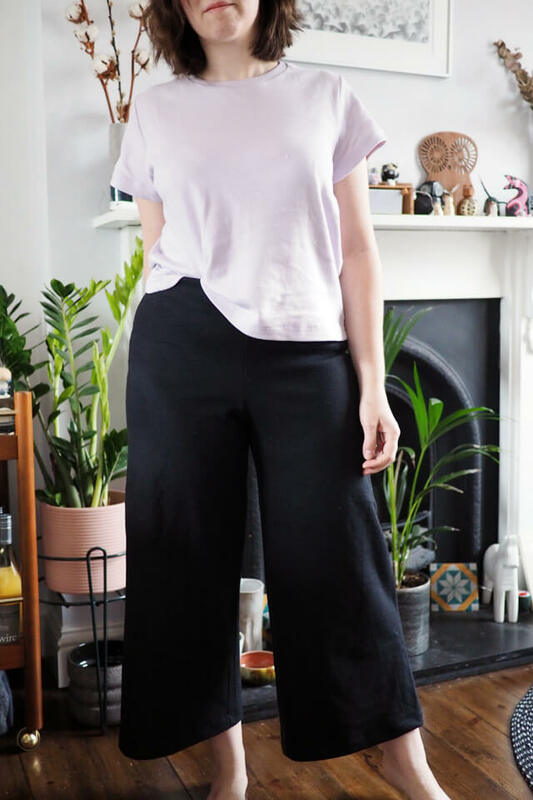 Even if you have some experience I’m sure you’d pick up some new tips or find it handy as a reference volume, or simply make use of the six included patterns which include a tank, tee, a skirt, two pairs of trousers and a cardigan along with numerous ‘hacks’ to make more variations. The patterns are printed onto sheets at the back of the book. They need to be traced and sometimes pieced together. Colour coding and good clear labels made the process really fast, even for this usual tracing-phobe: like well under half an hour to do these two patterns. I outlined my size in black marker to make it even easier to see what I’m doing. 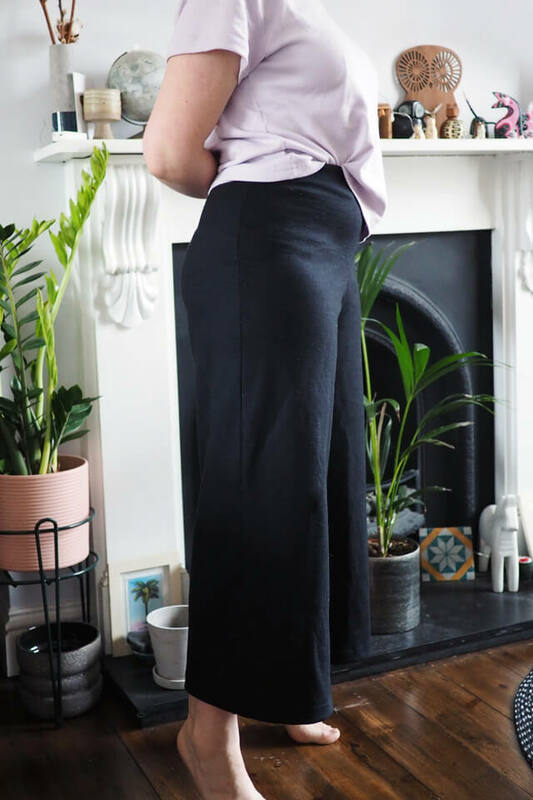 The Derwent trousers which I sewed up first are a cropped flared trouser designed for ponte type knits, with the waist finished with an elastic facing. I used a wool-mix Ponte Roma which was kindly supplied by Minerva Crafts. 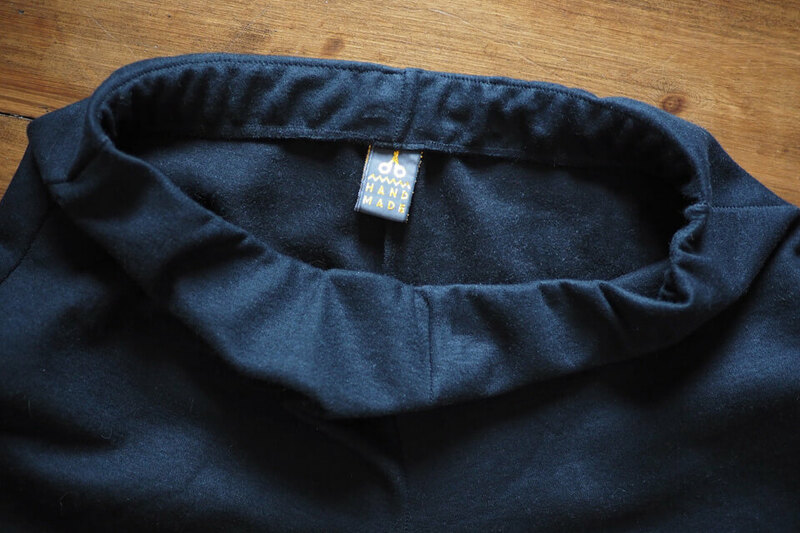 It’s a lovely weighty cloth with a firm widthwise stretch and an almost felt-like feel. 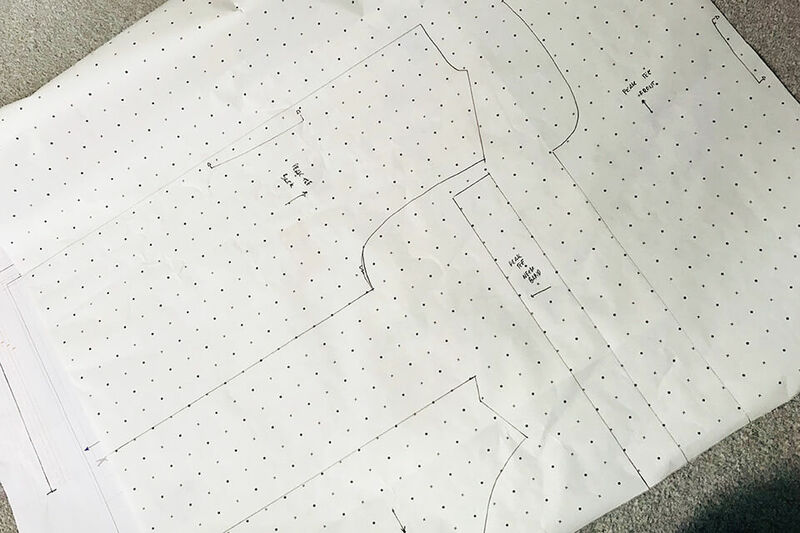 I appreciated the detailed finished garment measurements breakdown and the way the key body measurement is given to pick your size from – hip in this case. I found them true to size and the fit great, albeit perhaps a little unflattering on my currently rather inflated tummy. I took two inches off the standard length leg to get this ankle-crop length. I followed the sewing instruction in the book and had no issues at all. They sewed up crazy fast, being only two pattern pieces and just five seams. I especially like the waistline, faced with wide elastic and folded back on itself for a clean and firm finish. I added a label so I can quickly tell the back! 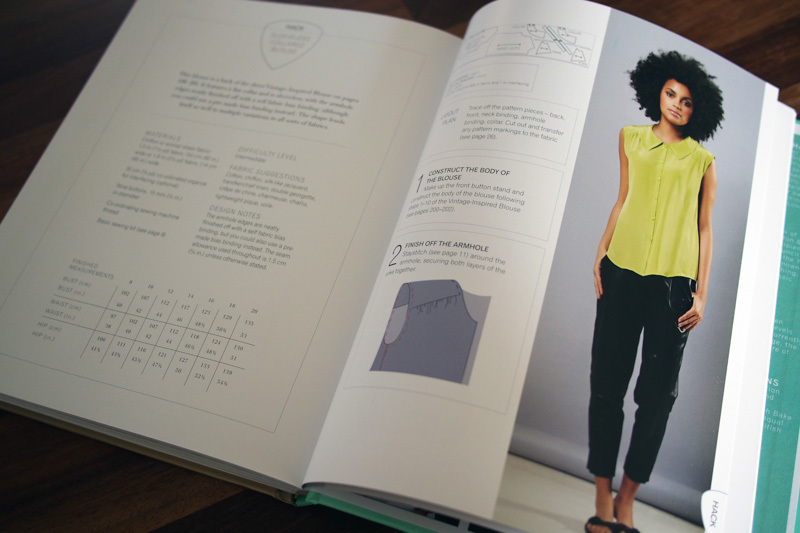 The book has a separate techniques section for things like this which is referenced from the individual pattern instructions where relevant. 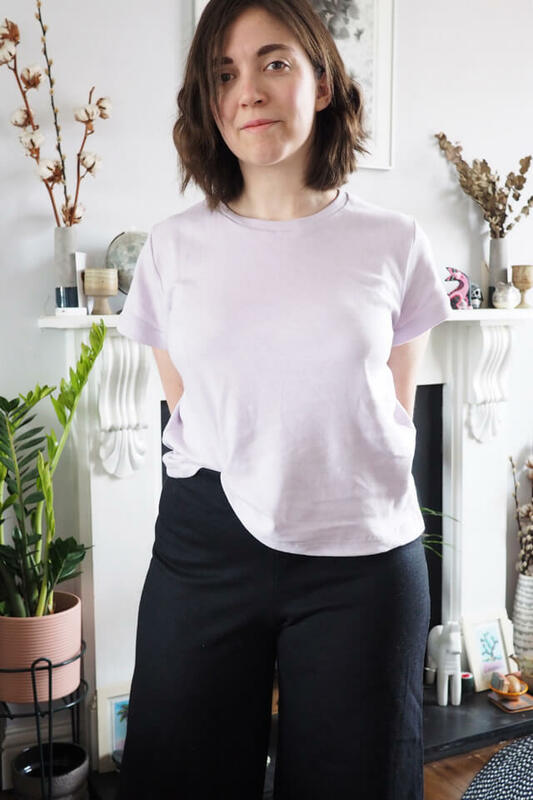 I made the Peak tee next, in a pale lilac interlock that’s been in my stash for a while. 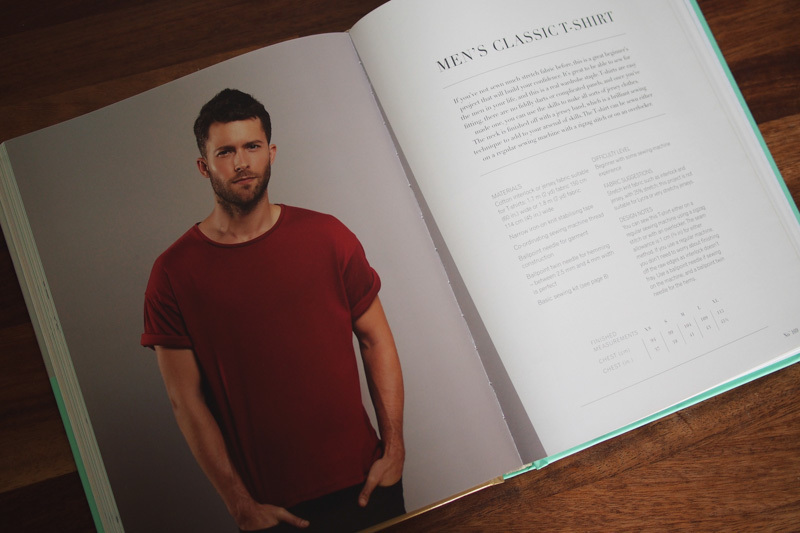 This is a boxy-cut crew-neck tee which falls to high hip length. 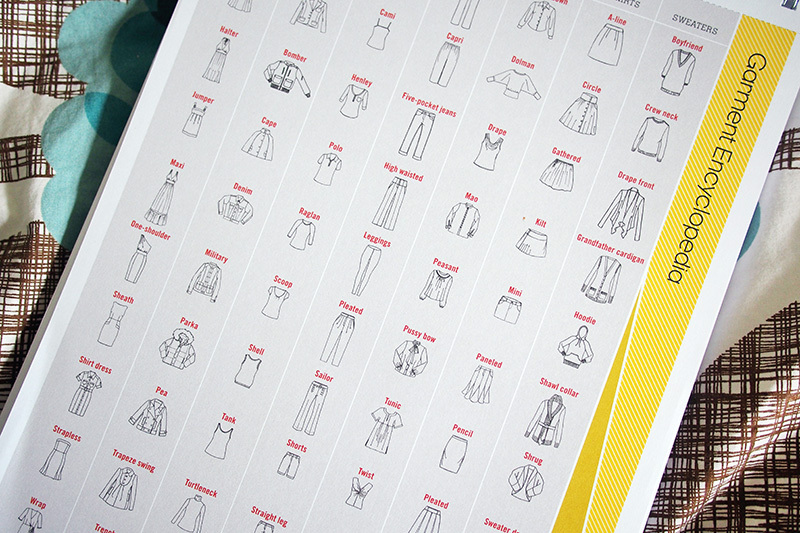 Variations include a long sleeve and elasticated waist dress views, for which instructions are given in the book. In terms of fit I found the back neckline a bit too broad for me; the neckband keeps it snug but I’d make an adjustment before sewing up again. Also the sleeve head is symmetrical which I think is causing a little excess fabric around the front armsyce/upper bust on me. Both quite common fit issues on me since I’m smaller through the back and upper chest, so I can alter the pattern accordingly for next time. Overall I think the proportions are great, and it also sewed up quickly with thorough instructions. I hemmed the sleeves to the outside for a cuffed effect. And if you fancy a copy, MAKEetc.com are offering 25% off the £12,99 cover price with code BLOG25 until 21st April. Not bad for six patterns! 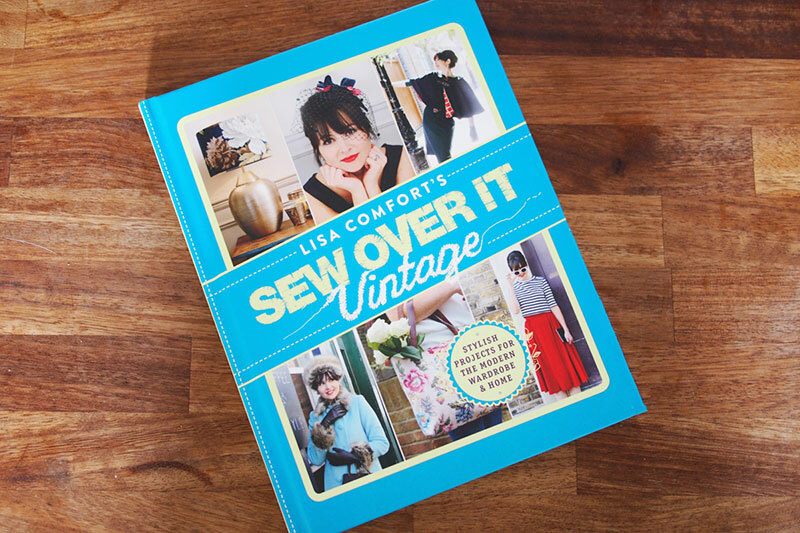 I’m the last stopping point on this week’s blog tour of Lisa Comfort’s new book, Sew Over It Vintage. 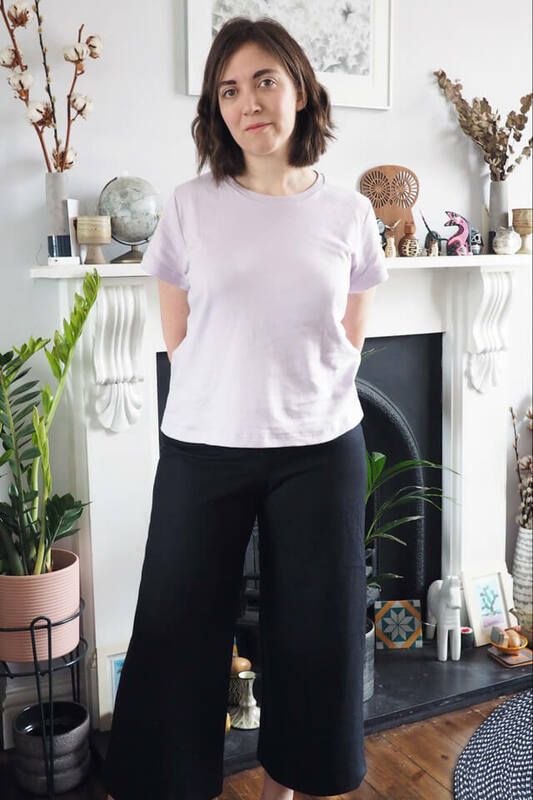 I’m a big admirer of Lisa and all she does to get sewing out there, via her shops, classes, patterns, and events with brands and high street shops. She’s even vlogging now – I honestly don’t know how she has time for it all. Plus she’s a lovely person to boot! Now as you know, vintage isn’t my go-to style, but I think Lisa has a good knack for taking the best ideas from vintage silhouettes and making them really modern and wearable. I made the Betty dress for my sister in a modern geometric print and it looked super modern, and I also adore Fiona’s take on the new Shirt Dress pattern. Proof that vintage doesn’t need to look chintzy or playing dress-up. Anyway, onto the new book, which also isn’t exactly what I expected when I heard the title – but in a good way. 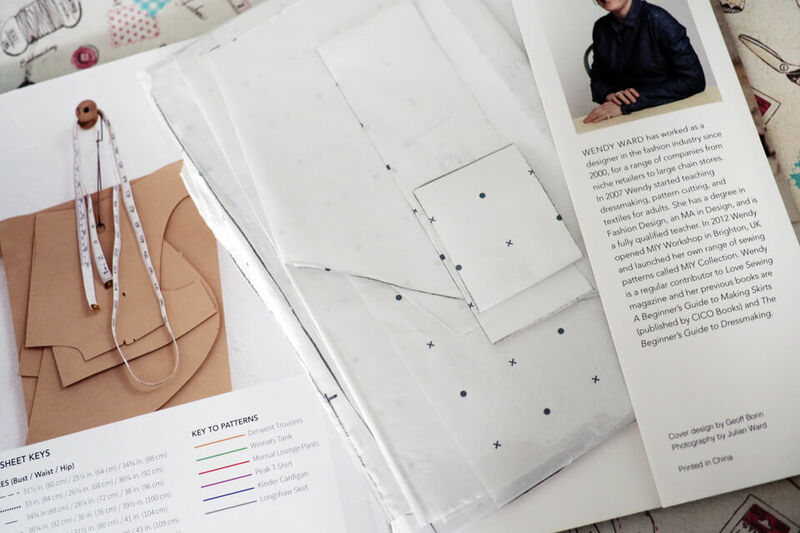 The surprise was that the book covers basic pattern drafting, via making a kimono sleeved bodice block which you modify to make a lot of the patterns in the book. 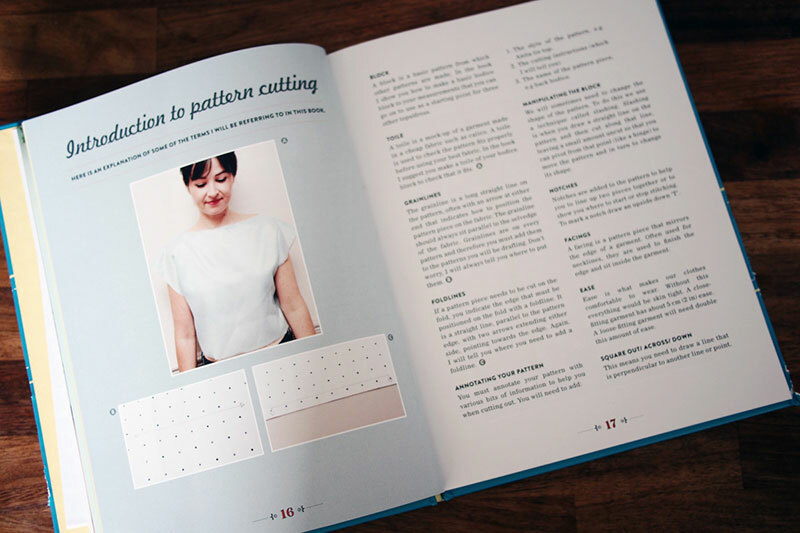 This is super smart for several reasons: there’s no need for pattern sheets to be included with the book; you learn pattern cutting skills in a practical setting; and the patterns are much more likely to fit properly! Some of the patterns you can make with your kimono block include a tie-waist blouse, a sailor shirt, and a cowl-neck dress. I haven’t had time to have a go yet, but I definitely will be – I love a kimono sleeve and the possibilities for designing from it are really varied. 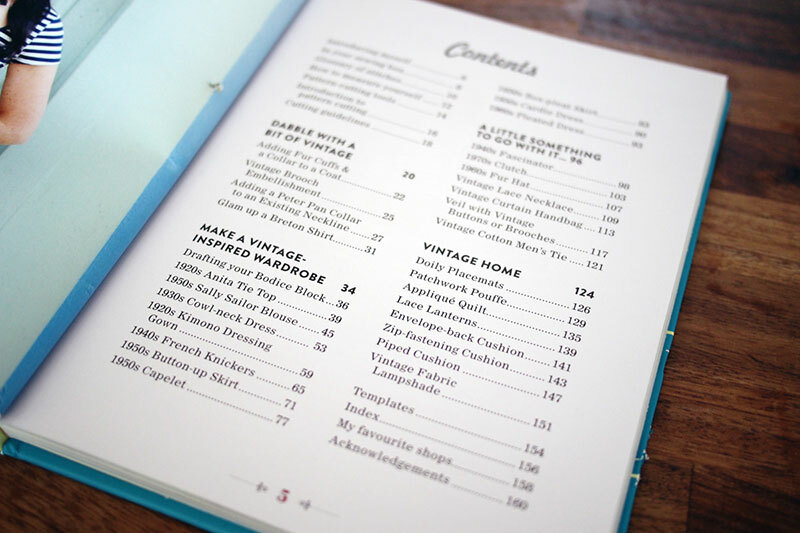 If you’re not in the mood for drafting, the book’s got a variety of smaller homeware, accessory, and upcycling projects too. The instructions are thorough and well-written, and while I don’t think it’s a book for true beginners, a confident beginner could tackle most of the projects. From my point of view I think this book definitely deserves a place on the shelf for its introduction to pattern drafting and manipulation alone. 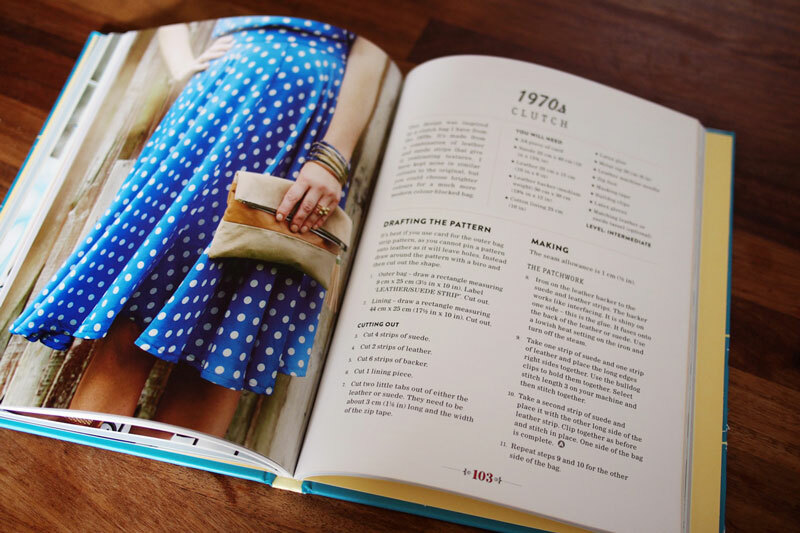 Will you be adding Sew Over It Vintage to your shelf? Review copy supplied for free by the publisher, views my own. Amazon links are affiliate links. I’m the second-to-last stop on this blog tour, so sorry if you’re bored of the reviews going around! 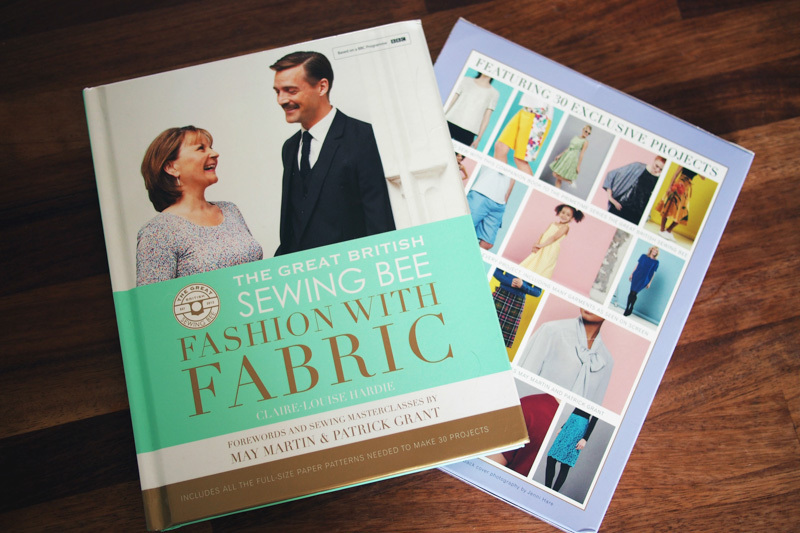 But I’m glad to be part of the team sharing the newest GBSB book, The Great British Sewing Bee: Fashion with Fabric, because it really is the best of the bunch so far. 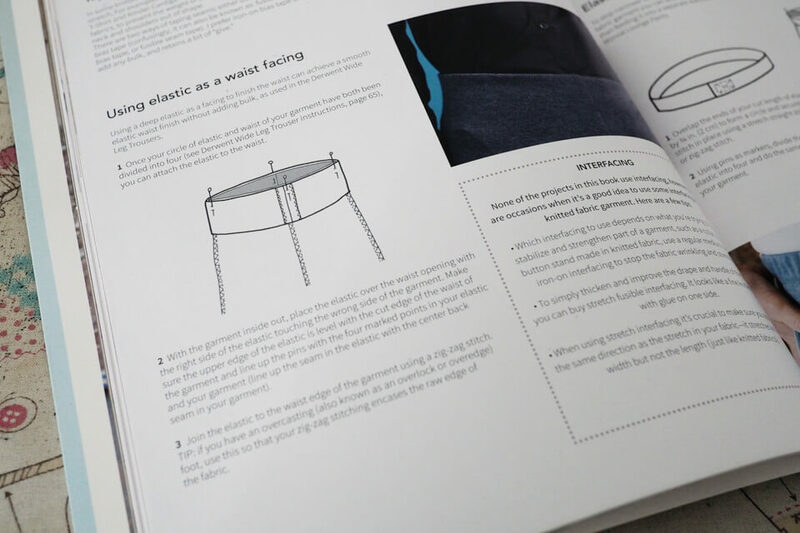 Written by Sewing Bee technical advisor Claire-Louise Hardie, the book’s USP is to take a fabric-first point of view in order to advance your skills, which when you think about it makes total sense. Selecting and handling fabric correctly is such a big part of a successful sewing project – something we’ve probably all learned the hard way – and it makes a world of difference to know your business in the fibre department. 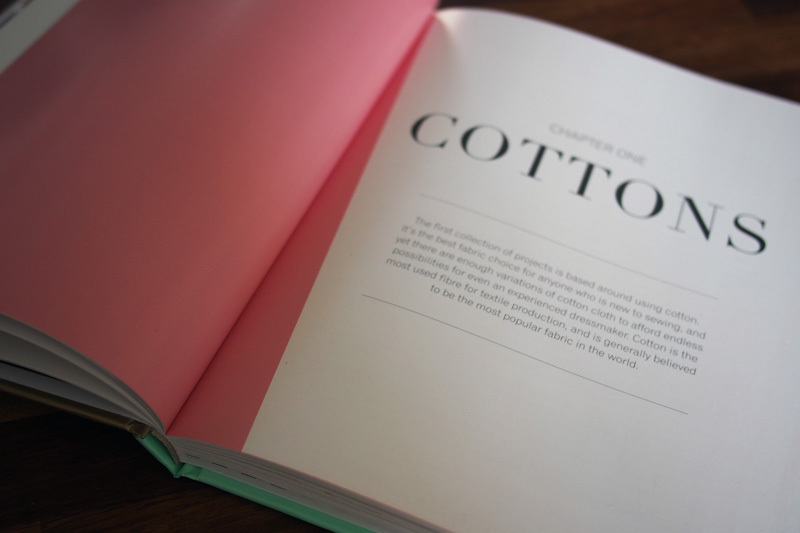 Starting with easy cotton and working through wool, knits and special/luxury fabrics, each chapter focuses on a fabric’s unique properties and goes up in difficulty as the book progresses. What I especially like is that for once it’s a book that does not pander to beginners. 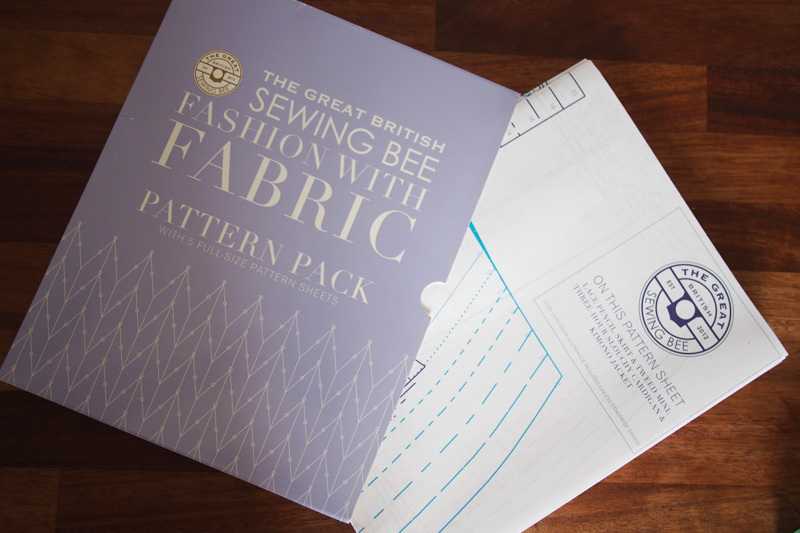 While it does have a concise chapter at the beginning with all that basic knowledge on how to use patterns I’d say it’s more aimed at intermediate sewists, who will definitely pick up some new tips from its pages. The other big attraction of the book for me is the 30(!) included patterns. Claire-Louise clearly took great care in selecting the project range, both to complement the book’s fabric-first theme and to appeal to a wide range of readers. 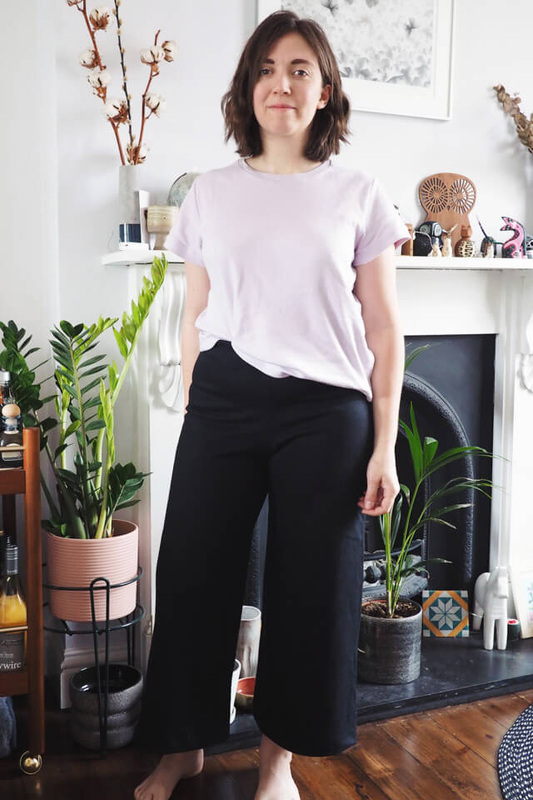 Several patterns have gone onto my to-sew list including the woven silk t-shirt, capri trousers, and elasticised jumpsuit. 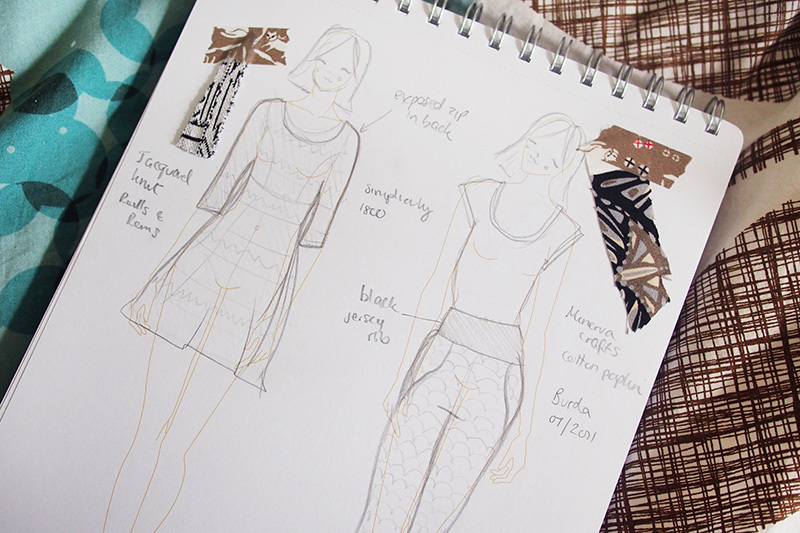 Each pattern includes ‘hack’ variations, such as using the jumpsuit pieces to make a camisole or casual trousers. There are also a couple of kids’ patterns (including that elephant costume) and some surprisingly nice and wearable men’s patterns – a classic crew-neck tee and cargo shorts. Maybe Josh will get some summery treats! There’s a bumper envelope as large as the book containing the patterns on generous full-size sheets so they are painless to trace off, even for this tracing-hater. Each sheet has a handy contents list in the corner for the patterns it contains, so you don’t need to unfold them all to find your pieces. Two thumbs up there. 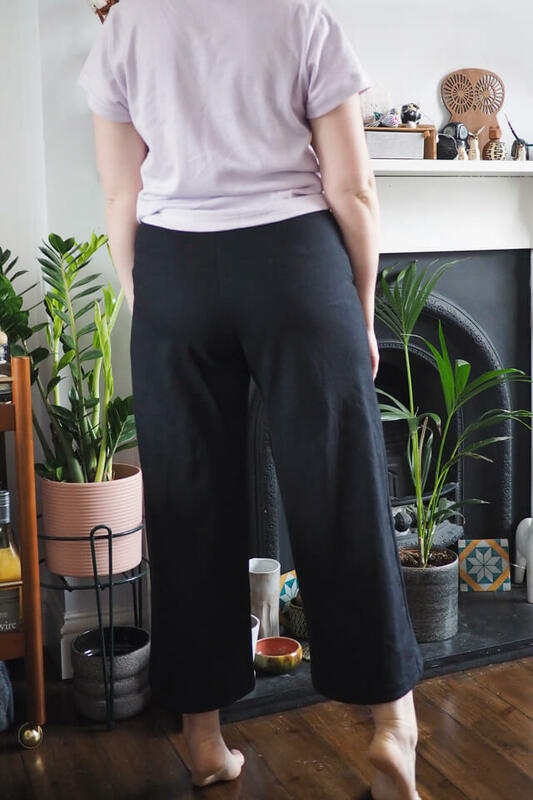 I made up the casual trousers (a variation of the jumpsuit) to test the patterns’ fit and usability. (Rachel made the same pair in her review.) Tracing and cutting this very simple pattern only took an episode of GBSB, and I had all the sewing finished in another session. 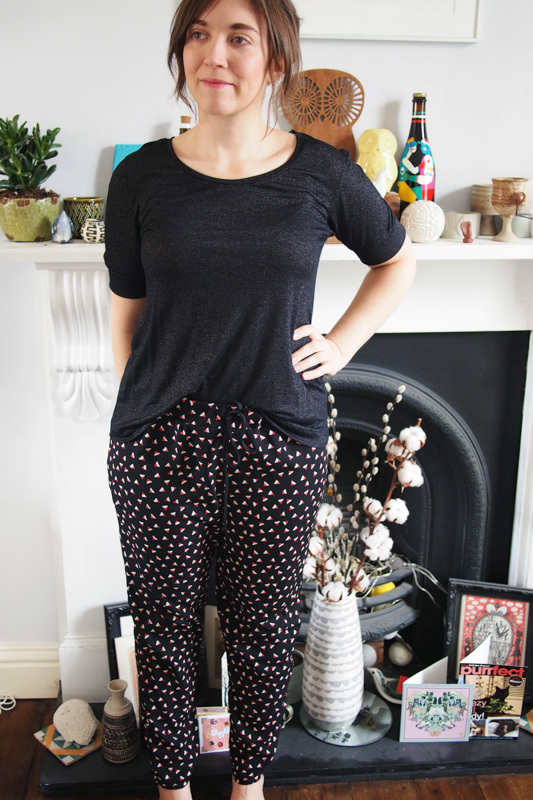 This is a handy little pattern to have in the stash for sure, and I’m pretty sure I’ll be making a couple more pairs to use as PJs and lounge pants. For me, it’s the wealth of fabric-specific information and breadth of the included patterns that makes Fashion with Fabric a worthwhile buy from my point of view. 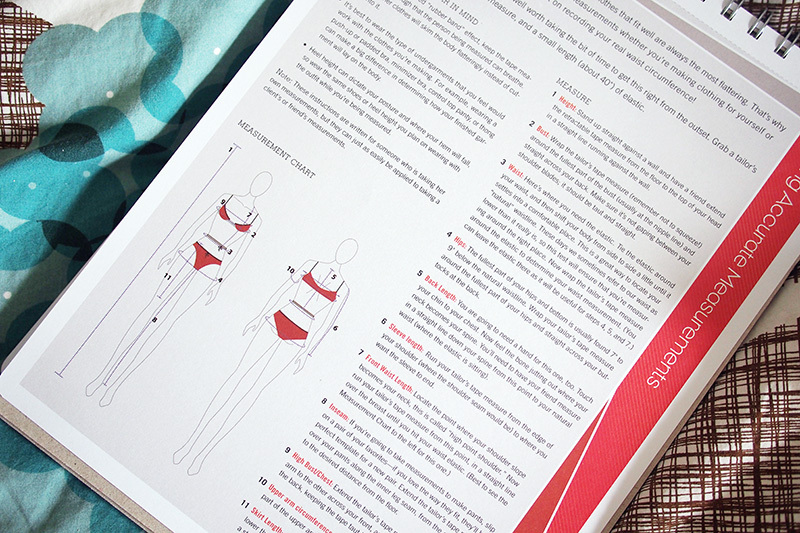 I think the contents and patterns are best suited to advanced-beginner and intermediate sewists, who are bound to find a bit more knowledge and inspiration in its pages. 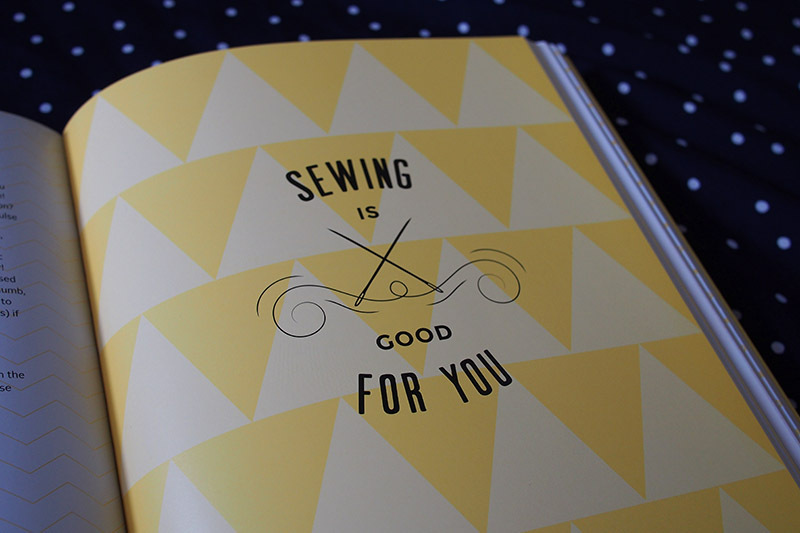 Will you be adding it to your sewing book library? I was given a copy of the book by Quadrille Publishing for review. The Amazon link is an affiliate link. Ello! 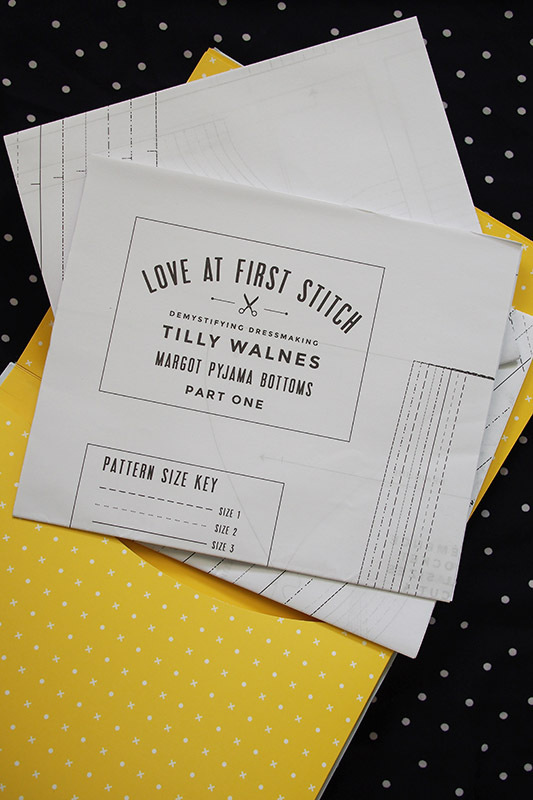 Today I’m reviewing and giving you a glimpse inside Love At First Stitch, the new book from everyone’s favourite pint-sized sewist, blogger, designer, GBSB contestant and all round little love, Tilly Walnes. The new UK sewing mag, Love Sewing, organised a blog review tour and today is my stopping-off point. Today also happens to be the #LoveAtFirstStitch online launch party day AND the book’s official publish date. Woo woo! 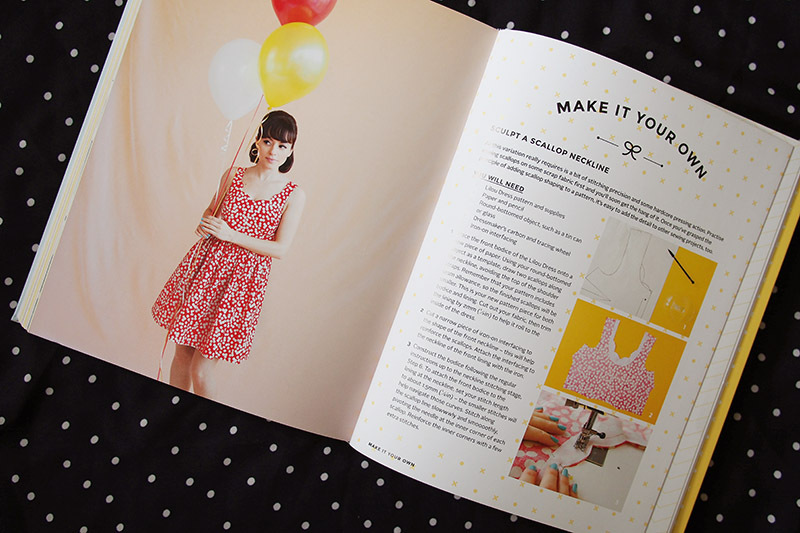 Love At First Stitch‘s USP is to deliver you from no-knowledge amateur to sewing whiz via a series of gorgeous dressmaking projects, each designed to teach you something new and put those skills to work in practice immediately. I really love this approach as you can work through the book, making lovely things that increasingly build your skills up, and end up with a lot of experience that you can transfer to other projects. It’s super smart and much better than learning the techniques in isolation. Tilly has an amazing talent for teaching, and the steps and photos in the book couldn’t be more clear. I love the in-depth technique sections for the new or trickier aspects of each project. However, I don’t think this book is just for beginners. There are plenty of intermediate and advanced projects, from the Delphine buttoned skirt to the Lilou dress, a classic party frock. Plus it’s a comprehensive reference book containing many techniques that I know I could do with brushing up on, so I’m sure I’ll be picking it up often for some general sewing tips. The projects are so cleverly chosen. 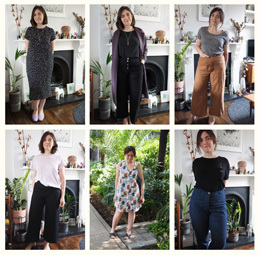 They are classics with Tilly’s pretty vintage twist, and the best thing is she’s offered a few variations for each one so you can make it your own and sew up the patterns over and over with totally different looks. Try the pretty Lilou with a scalloped neckline, the cute Mimi blouse with a leather collar and piping, the chic Megan dress with colour blocking and a button placket. The book itself is a gorgeous package. The design is unquestionably ‘Tilly’ all over: dots, yellow and graphic icons feature heavily, and the pastel-hued photography is dreamy and impeccably styled. 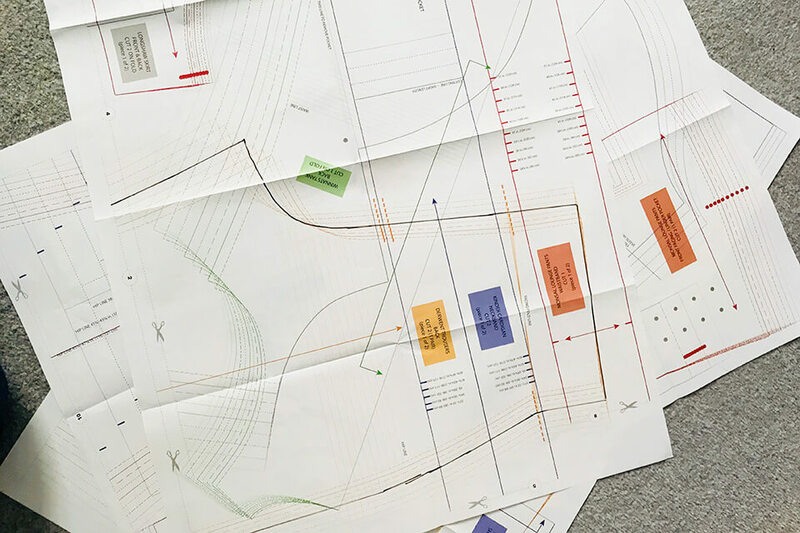 Five full-scale patterns are included in an envelope at the back: you’ll need to trace them off as they overlap but they are very cleanly laid out so it’s no bother at all. You can see all the included patterns as well as more snippets from the book over at Tilly’s blog. There are loads more other details and content gems I could waffle on about, but I think you should just buy the book and see for yourself! I’d highly recommend it to sewists of any skill level or personal style. You’re bound to find a project you’d like to try or a hint for a technique that you haven’t tried before. I can see myself returning to it over and over. Congratulations on an amazing debut, Tilly. 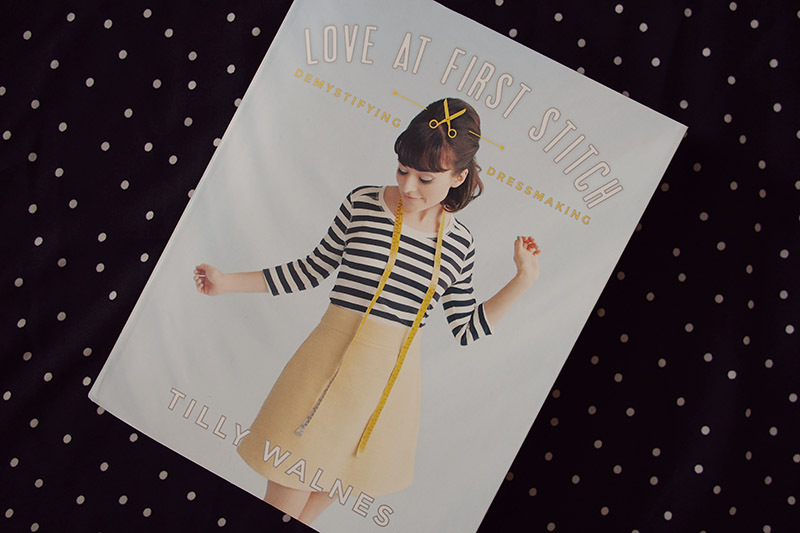 Pick up Love At First Stitch from from Amazon, or a signed copy from Tilly’s shop. It’s also currently the subscription gift for Love Sewing, so to get a double dose of sewing goodness just click here to sign up. 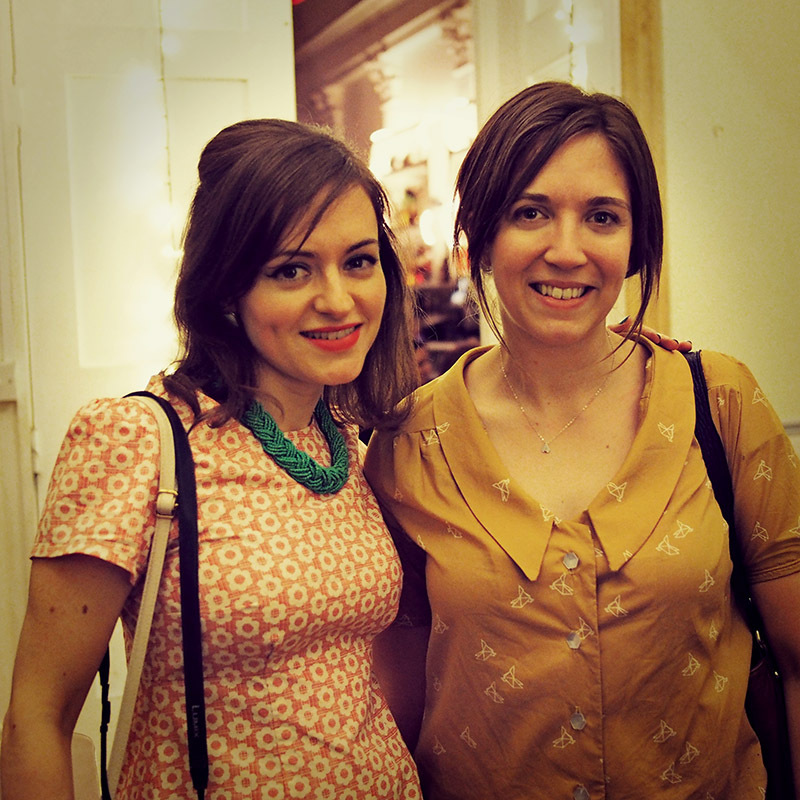 Finally, here’s Tilly and I at the Love At First Stitch London launch party last night, which was a brilliant bash. Yes, that’s indeed one of the book’s projects I’m wearing… more on that to come! 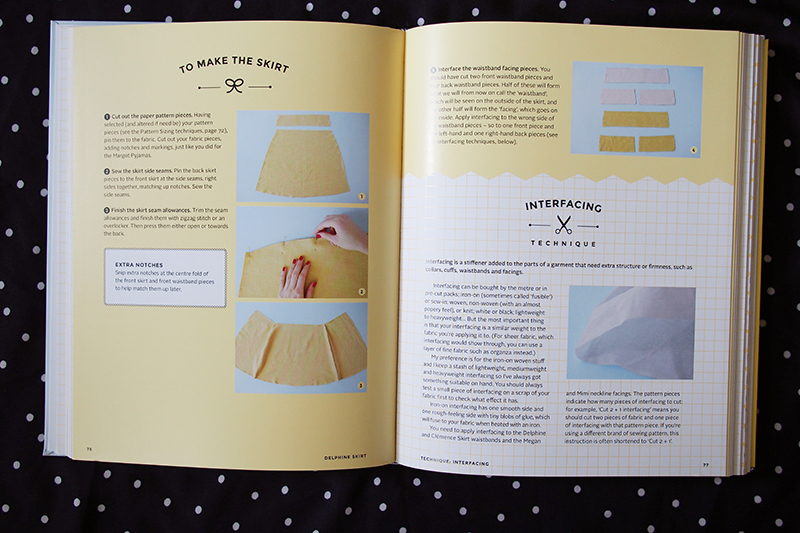 I was given an advance review copy of the book by Love Sewing, views my own. 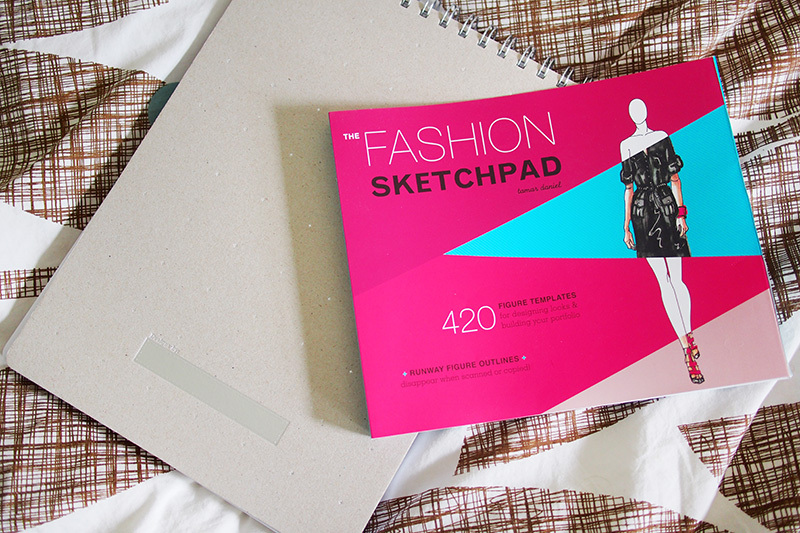 I bought the Fashion Sketchpad to keep track of my seemingly endless to-sew list, along with jotting down the random garment ideas that pop into my head from time to time. I’d just been doodling in an old plain sketchbook, but thought it’d be useful to have the figures pre-drawn for me to dress up. I’m really pleased with my purchase. The book has a gorgeous thick card cover with silver detailing, and I’m happy it has a spiral-top binding so you can sketch without your hand bumping into the binding (as a lefty I get this a lot). The first few pages have a wealth of information on technical terms, how to measure up, and how to use the book. The book has pages and pages of croquis printed front and back in various poses. 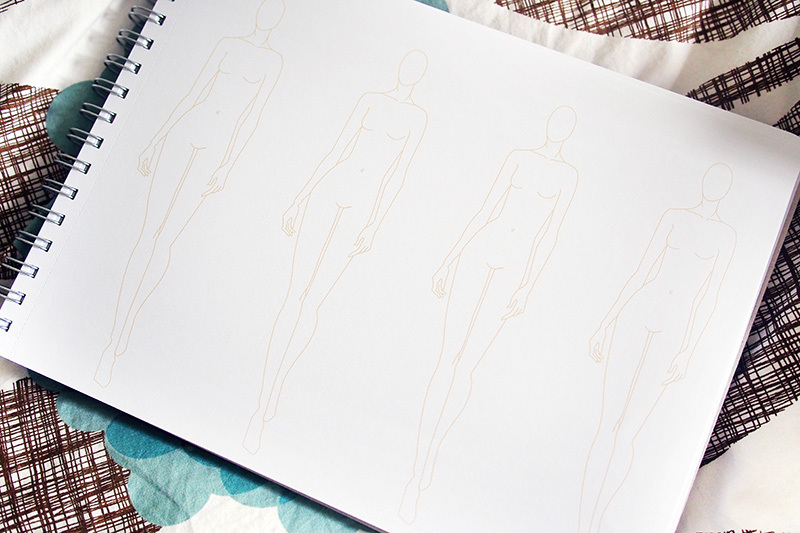 (Did you know that these exaggerated model-esque figure drawings are called croquis, by the way? Me neither until now.) 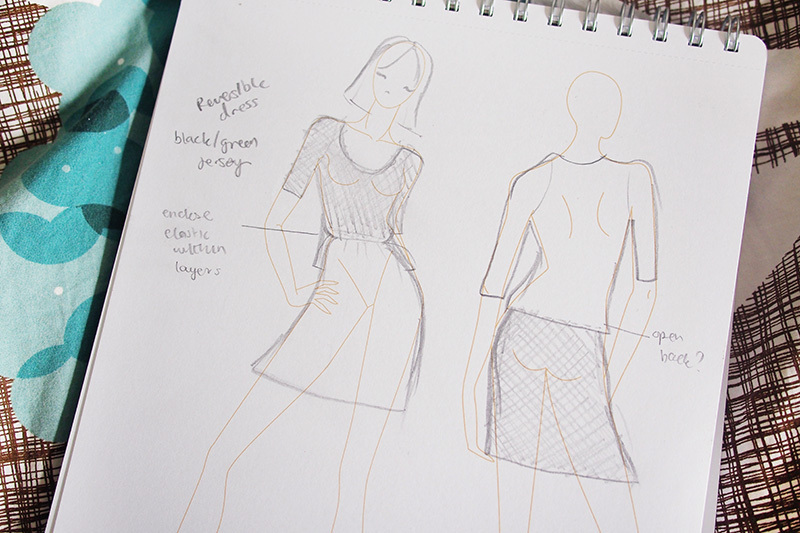 Some show the back and front next to each other so you can sketch out both sides together. Mostly there are two to a page, but some 4 to a page as well. This is how I’ll mostly use it – stick in a little selvedge swatch from my stashed fabrics and sketch out what I plan to make with it, along with some notes on the pattern, construction and details. I need to dig out my colouring pencils so I can properly shade them in and get a better idea of how the finished garment will look. I’ll also jot down ideas for projects I don’t have fabrics for yet, such as this reversible colour-blocked dress vision I have in my head. It means I can try to be focused when fabric shopping and think about what I can buy to complete a planned project. 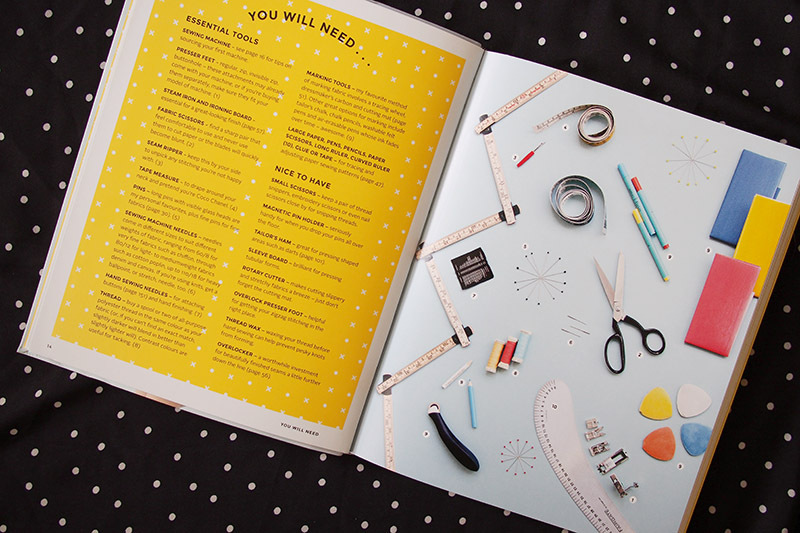 Does anyone else have a system for organising their sewing projects?